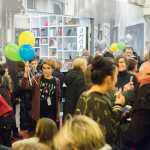 With an official opening screening of the Swedish sci-fi adventure Up in the Sky on Wednesday, 14 February, at the packed Europa Cinema, the third edition of KinoKino, a film festival for children, opened. 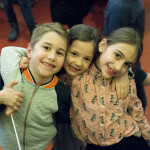 “This is the third year of this festival, our favourite project since it is intended for children, and once again we witness how little people make big things. 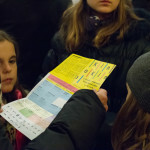 This year, before the festival was even launched, a workshop with 12 children made a true work of art. 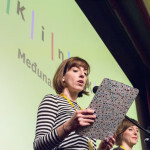 With their mentor Andrea Sužnjević of Šesnić&Turković design studio, they made their very first film poster,” said at the beginning the festival director Selma Mehadžić, welcoming in the auditorium 12 little creative people who made the poster for the opening film of the festival. 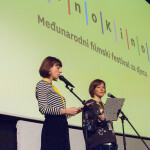 The festival coordinator Katarina Crnčić pointed out that this year’s edition of the festival features around 30 films literally from all over the world – from Croatian to Cyprus, from Senegal to Columbia – as well as a series of workshops and side events. 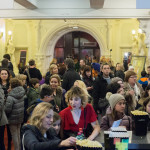 In the next few days, we will meet many little film protagonists fighting for justice and changing the world. 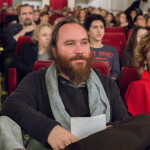 “In addition to the first eight-year-old in outer space, we will be hanging out with several other brave, resourceful and adventure-inclined kids, the heroes and heroines of the main competition section,” said Crnčić. 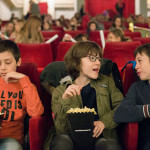 The festival was officially opened by two very special boys who fight for tolerance and school without violence on a daily basis – this year’s winner of the Luka Ritz Award Luka Gnjidić and his best friend Borna Frančić. 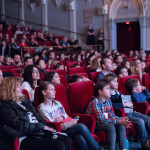 The launch of the first eight-year-old to outer space, the protagonist of the Swedish box office his Up in the Sky, followed. 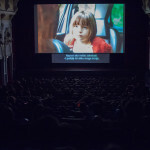 The critics have already called this film a future classic and a favourite of generations to come. 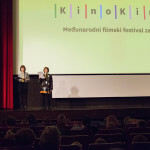 Its Croatian premiere took place at KinoKino. 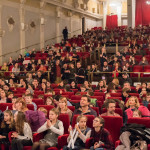 In the main programme of this year’s festival eight films will be competing for three award: best film according to the professional jury, children’s jury and audience. 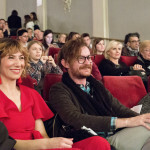 This year’s professional jury consist of one of our finest actresses Daria Lorenci Flatz, a drama principal at the Croatian National Theatre in Zagreb, who starred in many acclaimed film roles as well, supported by Moamer Kasumović, the only ‘normal’ member of the popular TV family Fazlinović, and the super-creative Zdenko Bašić, the author of many imaginative cartoons and illustrations. 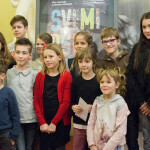 The children’s jury, as always, consists of five primary schoolchildren, who stand out for their many and particular interests, from flute to Charlie Chaplin’s silent films, to karate and 21 Pilots band, to percussions and the super popular serial Stranger Things. 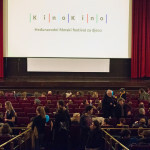 In order to make the children’s cinema-going experience as filled with learning and entertainment as possible, KinoKino offers many side events as well. 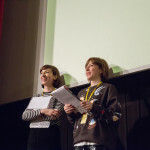 After every screening they will have a chance to discuss the films they saw with the moderators and take part in several workshops.